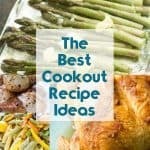 Hamburger Steaks with Onion Gravy – Easy and delicious meal that turns very inexpensive ingredients into something…more. 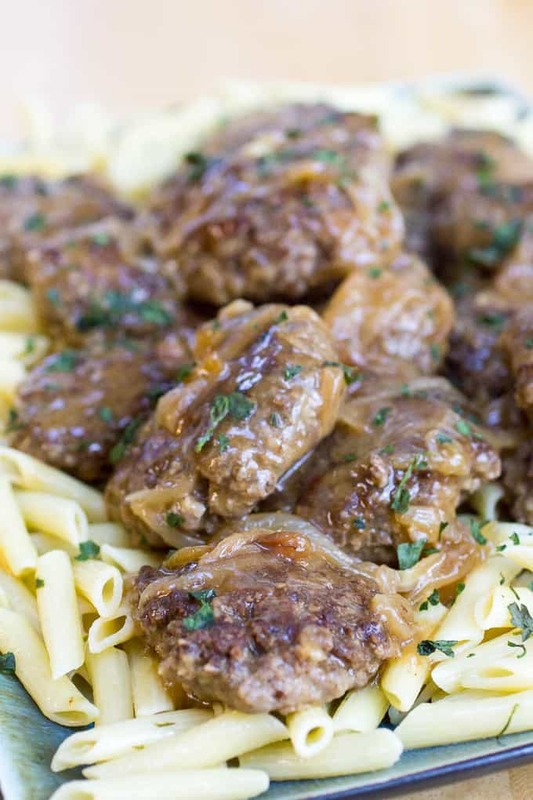 Hamburger steaks with Onion gravy will turn into one of your family’s favorite meals. 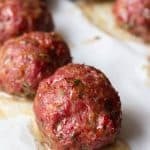 Super Simple Herbed Marinara – Sometimes you just want something easy and fast to get on the table that’ll satisfy your spaghetti-lovers AND your need to have dinner done in ~30 minutes! 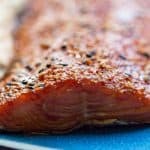 This Super Simple Herbed Marinara fits the bill! 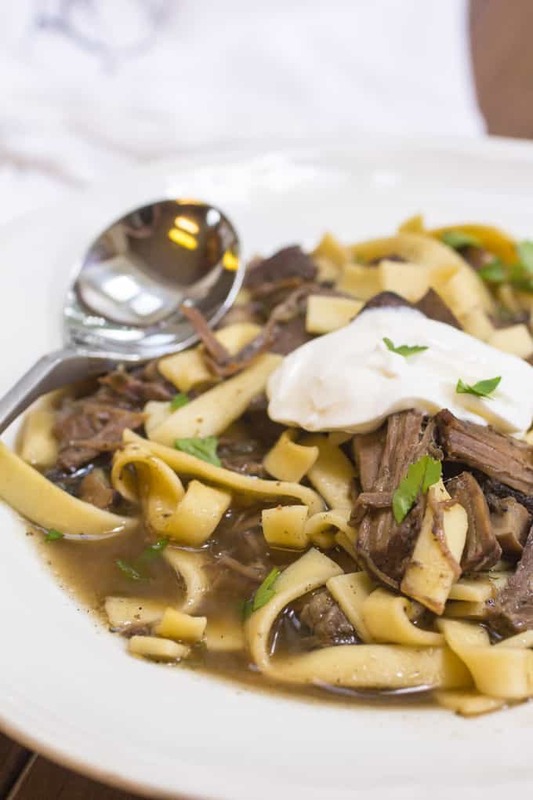 Beef Stroganoff Soup Recipe – Beef Stroganoff Soup is super simple, filling, and a hearty comfort food that your whole family will love. 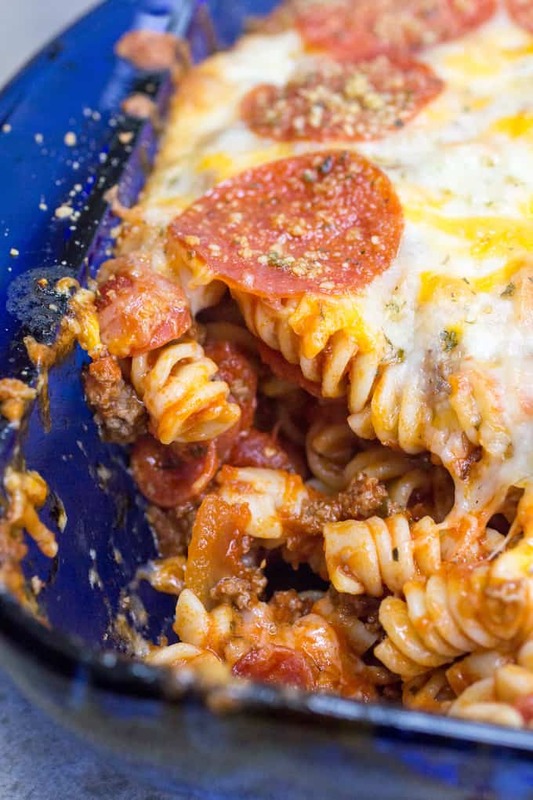 Pepperoni Rotini Bake – Pepperoni Rotini bake is like a perfect marriage of your favorite pepperoni pizza and spaghetti – all in one dish. 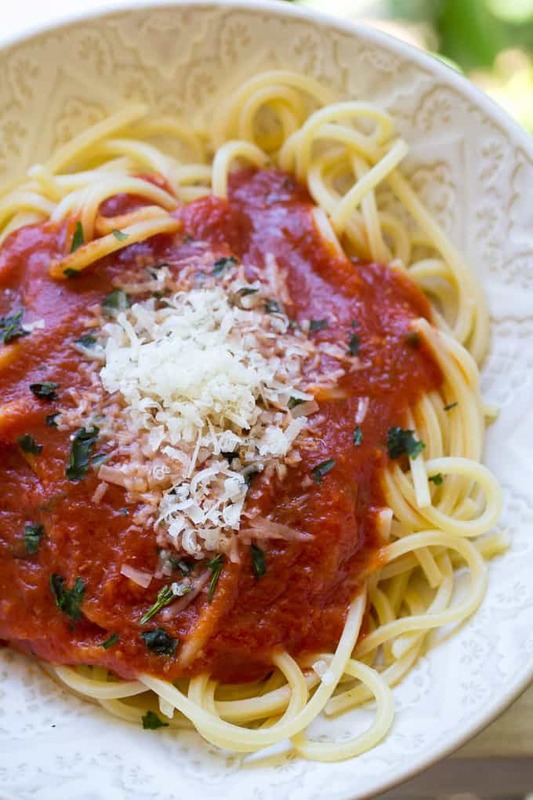 FULL of pepperoni flavor, this is going to please your whole family. 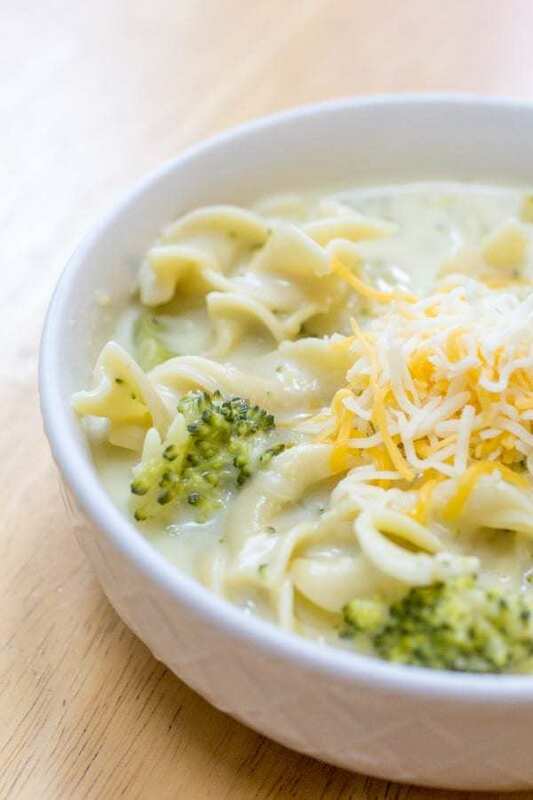 Cheesy Broccoli Noodles – This Cheesy Broccoli Noodles recipe is going to have your kids eating all of the vegetables, and then asking for more. 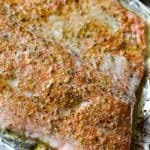 We love easy, comforting, cheesy dish here! 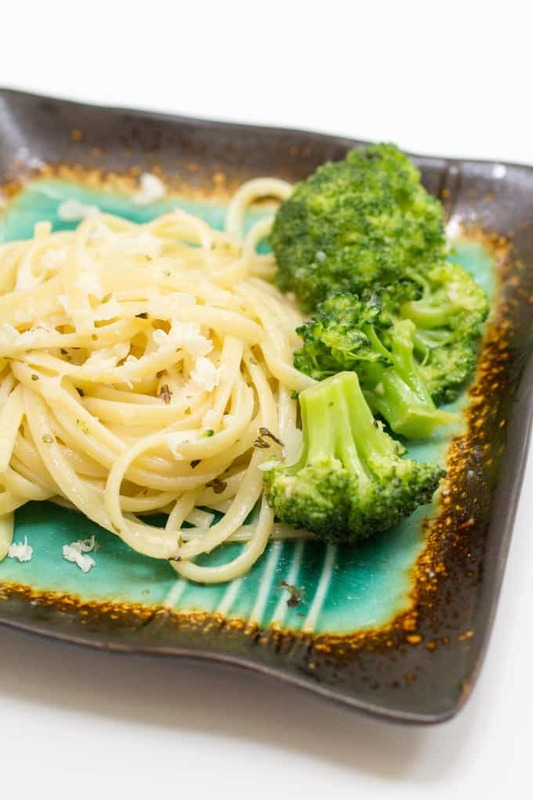 Herbed Garlic Linguini – This Herbed Garlic Linguini is a perfect side dish to go with your next barbecued steak, chops, chicken, or fish. 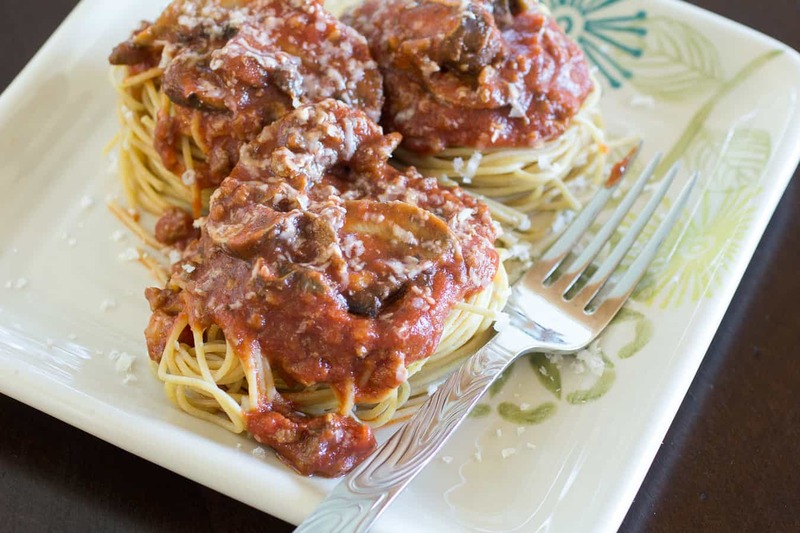 Spaghetti with Mushroom Meat Sauce – Mushroom Meat Sauce is a fantastic way to get more mushrooms into your diet. 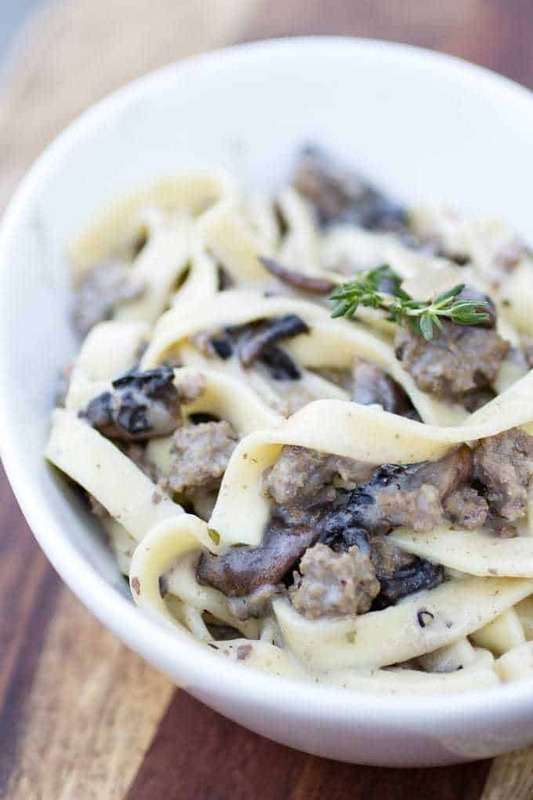 Your family won’t even notice the mushrooms chopped up and combined with the meat in this great, budget-friendly meal. 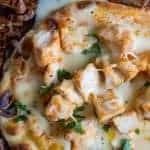 Easy Ground Beef Stroganoff Recipe – Easy homemade ground beef stroganoff goes from your fridge to your table in under an hour, is made from scratch with NO canned “cream of” soups, and no strange ingredients that you can’t pronounce. 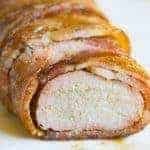 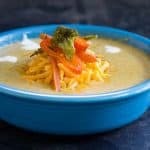 Instant Pot Chicken Soup – Instant Pot Chicken Soup makes quick work of a pack of inexpensive chicken legs for super flavorful and FAST meal. 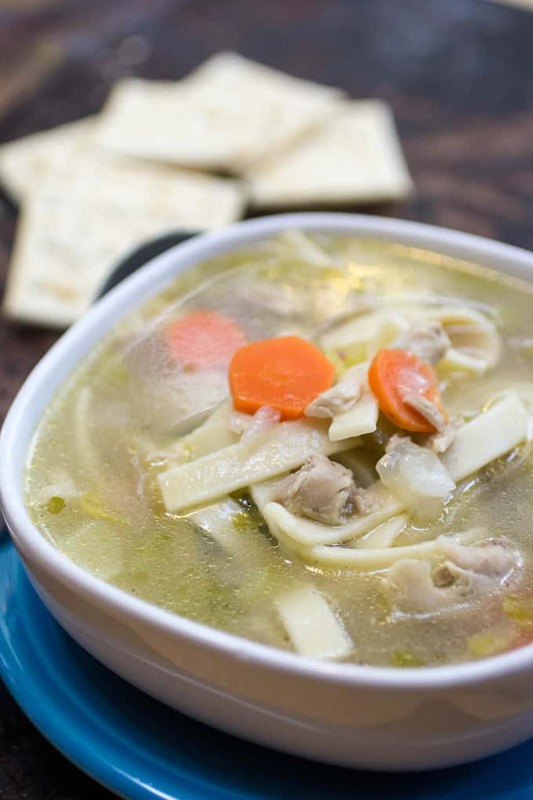 Make your own homemade chicken broth first, and then it is a quick cook to a big bowl of this deliciousness. 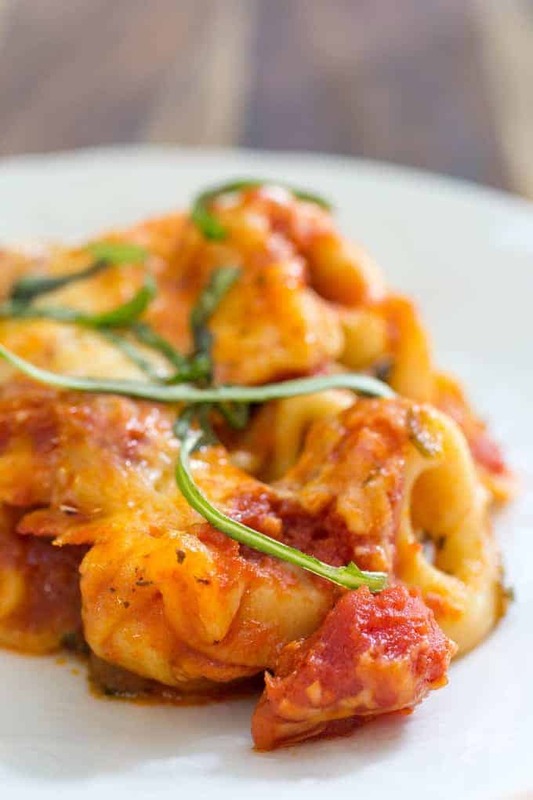 Baked Tortellini Recipe – Baked tortellini is a super easy dish to whip together, and is loaded with veggies and cheese. 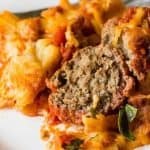 Some call it “lazy-man’s lasagna”, some call it “Italian Meatloaf”, I call it DELICIOUS.